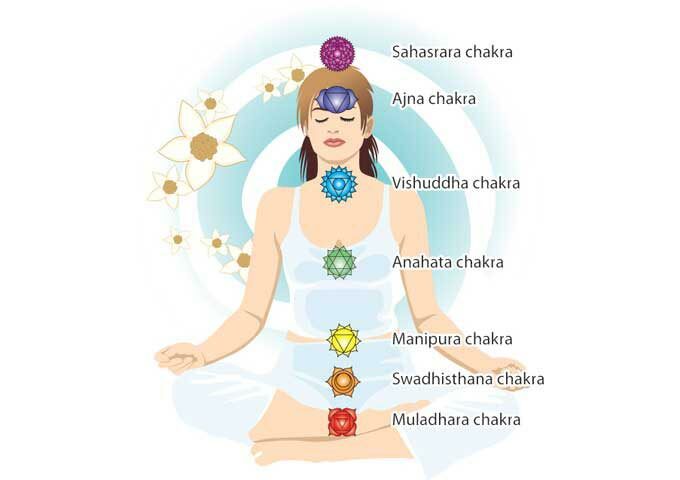 www.chakra-anatomy.com is a comprehensive guide to the subtle body, the chakras and the aura. Whether you are a beginner or a seasoned student, healer, or spiritual seeker, you will find much information on this website. With hundreds of free articles, tutorials, resources and content features, even brand new students can become experts using this website alone. Learn the basics or delve deeper into topics of healing, self discovery and transformation. Perhaps you know what a chakra is or you may have read or heard about chakras. And you know that there is more to you that just the physical body. You know that your body is an energetic system through which the universal life force flows. Your seven chakras are a part of this energetic system - they are a part of your energetic self. They connect you with the larger part of yourself, the universe, and at the same time they hold the secrets to your unique self, your unique soul. Seven primary energy centres are located near the major nerve plexuses of the physical body. Maybe you are curious and you want to learn more about your chakras - these powerhouses of energy - spinning wheels of life. And maybe you want to explore ways of balancing and healing your subtle body. Or perhaps you want to learn more about your connection to the universe - to all that is around you and within you. And maybe you'd like to re-discover and re-connect with the unique soul residing within the deepest parts of yourself. The first of the seven energy centers, Muladhara is associated with the element of earth and grounding. Explore Muladhara and learn how to harness the power of this energy centre. Swadhisthana is the second energy centre from the bottom. It's color is orange and the primary drive of this energy centre is pleasure. Learn more about this seat of passion and re-connect with your feelings and creative energy. Manipura is your power center - this is your Core Self. It is where your will, power, and assertiveness originate. Explore the third energy center in depth and learn how to tap into your own power. Anahata, the centre of unconditional love and compassion, is in the center of the human energy system. Discover the hidden forces within this gentle energy centre and learn how to open to love in your life. Vishuddha is your voice of authenticity and creative expression. It is the centre of communicating of your own truth. Explore the fifth energy centre in depth and learn how to balance and heal this powerful seat of truth and self-expression. Ajna, the sixth energy center, provides the energy for spiritual reflection and insight. It allows you to experience clear thought and vision. Learn all about this control centre that allows you to cultivate strong and independent mind. Sahasrara is the seat of cosmic consciousness and connects us to Divine intelligence and Divine grace. Explore the seventh energy center in depth, learn tools to balance and awaken this spiritual center. Each of the seven energy centers has a certain task as depicted in this diagram. The seven chakras are part of the human multidimensional anatomy and along with other energy systems (nadis and meridians), help to integrate the aura with the physical body. 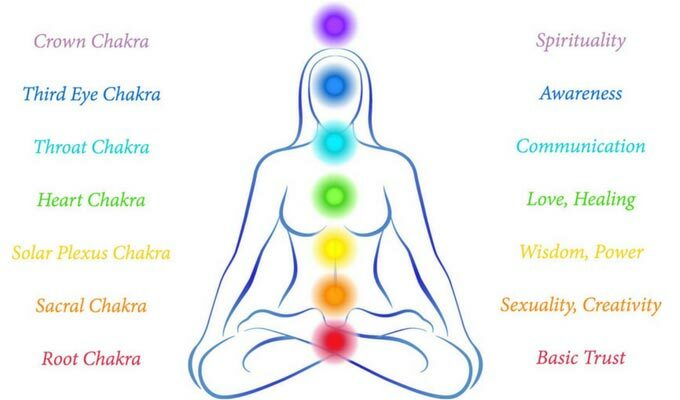 The	concept	of	chakras comes from Hinduism and the first source of knowledge comes from sacred writings - Upanishads. Different systems and teachers will introduce variations in their teachings. In the west, the seven major chakra system is the most commonly taught system and you will encounter that most often. There are other systems, like the twelve-chakra-system taught by Cindy Dale. The most notable are the ones at the palm of each hand and the sole of each foot. Healers often utilize their energy centers in the center of the palm during energy healing sessions. There is much to learn and to explore within the human energy body. I hope this blog will help you to learn more about your true nature, the nature of our bodies, and the magnificence of who we are. Explore the deeper meaning of color and its connection with your seven energy centers. Learn about the science of color, how we see colors and delve into color psychology. Awaken your sense of self and re-connect with your soul. download a free Healing Affirmations poster. I promise to use it only to send you my eZine.